One of the more popular posts on DocumentSnap (especially in light of recent price increases) is How To Export Your Data Out Of Evernote. Evernote gives you built-in ways to export to HTML or XML, but your organization structure isn’t preserved and the result is not nicely formatted. I always hoped that someone would write a great Evernote export tool, and I think I may have finally found it. The author of the ExportNote reached out to me, so I decided to give it a try. 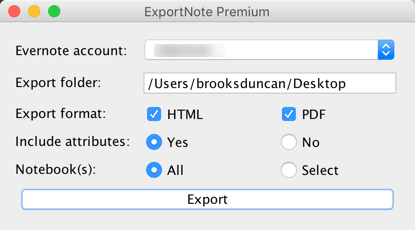 ExportNote is a small Mac or Windows application that does one thing and does it well: it exports your notes to nicely-formatted PDF or HTML, and keeps your organization structure intact. 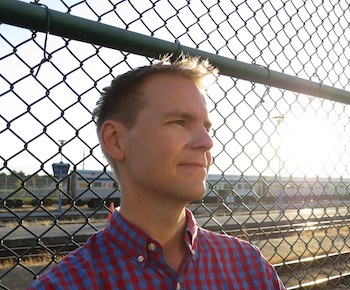 Basic: Exports your entire Evernote database to HTML. Keeps everything organized in your stacks, notebook, and note structure. Advanced: Lets you export to HTML or PDF. You can capture the tags and dates of your notes, and choose which notebooks you want to export. I’m using the Advanced version in this article. Now, ExportNote doesn’t actually download anything. You install it on your Mac or Windows computer and it will use the database that you already have downloaded with the Evernote client. When you start it up, you have a small window where you choose where you want the export to be saved (in my example I’m using my Desktop), and if you have the Advanced version you choose which format(s) you want, whether you want to include dates/tags, and whether you’d like to export everything or choose specific notebooks. I’ll do it all, and hit Export. It took about 4 hours for me to export my 9310 Evernote notes. Obviously your time will depend on the amount you have to export and the speed of your computer. 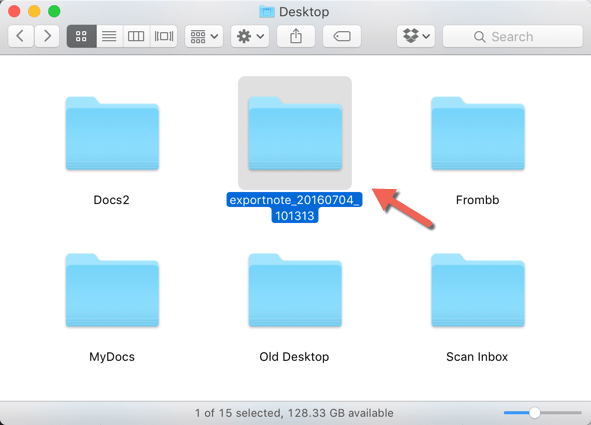 Once the export is done, you’ll have a folder starting with exportnote and a date/time stamp. In there you’ll have a html and/or a pdf folder depending on your export options. 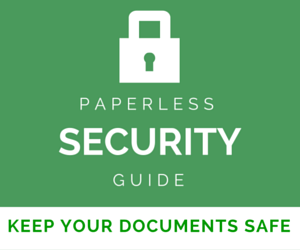 Using the pdf folder as an example, when you go in there you will have a number of folders. Default Stack will contain all your notebooks that are not a part of any stack. If you use Evernote stacks, you will have other folders containing them. 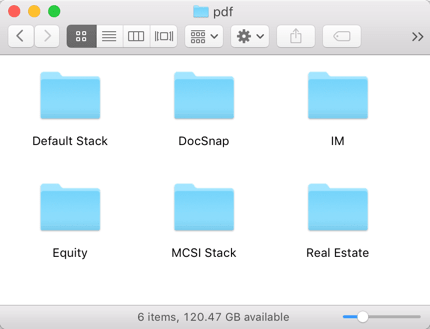 When you drill into a stack (or Default Stack), you’ll see a folder for each notebook. In each notebook folder, you’ll see your notes. 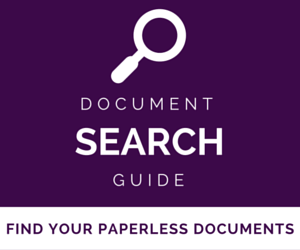 If you have a note without any PDFs or other attachments, you’ll see them as a single PDF file. When you open up the PDF, you’ll see the contents of your note. The title of the note will be the title of your PDF. This only happens with PDF exports, not HTML. 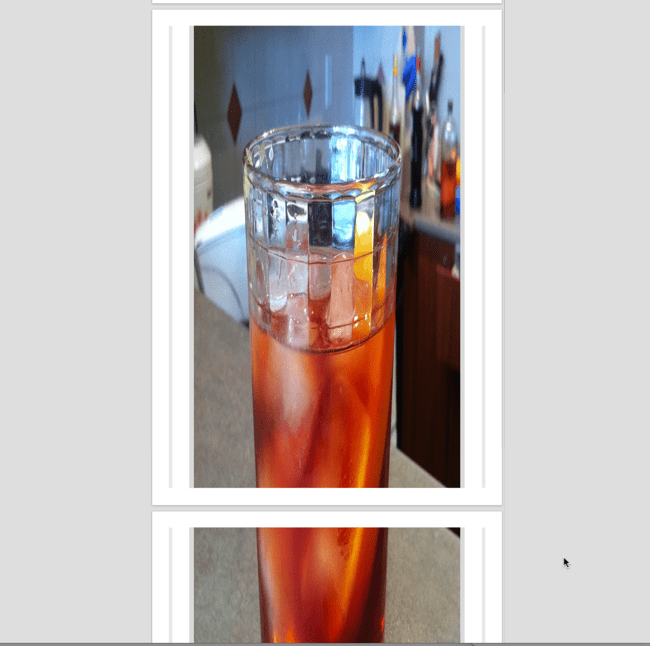 Instead of shrinking the image to a page, it splits it up over multiple pages. In those cases maybe it’d be better to just export it like a PDF attachment? If the note has an attachment, you will see a folder with the note name as the folder name. 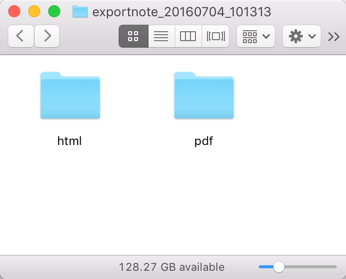 When you drill into the folder, you’ll see a file called note.pdf which shows the note content. The attachments will also be in the folder. As I said at the start of this article, Evernote gives you everything you need to export your notes. The results just aren’t very user friendly. If you want to have your export nicely formatted and organized, ExportNote worked well for me. If it was faster it would be even better, but maybe that is something the author can improve over time. The Basic version is $4.99 and the Premium version is $14.99, for both Mac and Windows. You can check out more at ExportNote’s site. 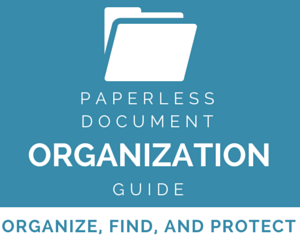 Get organized right from the start. The Exportnote looks down for maintenance actually. Is there is a possibilty to downgrade Evernote version without loosing documents ? And there is a way to download the last version of ExportNote ? If not, is there is an ETA of the new release of ExportNote ? ExportNote is awesome. 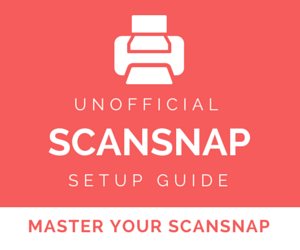 Unfortunately it doesn’t work anymore since an update to Evernote a few months ago. Excellent article and thanks very much for the info on this app, missed it totally. This is a great option for exporting from ExportNote to either pdf or html, you’d be surprised how many people I meet (Southern Sweden) don’t have a clue what Evernote is, or they’re overwhelmed by it and just don’t bother. This can be practical if I ever need to share a more robust amount of data from Evernote and if the stack/notebook structure is preserved – it will make things easier. 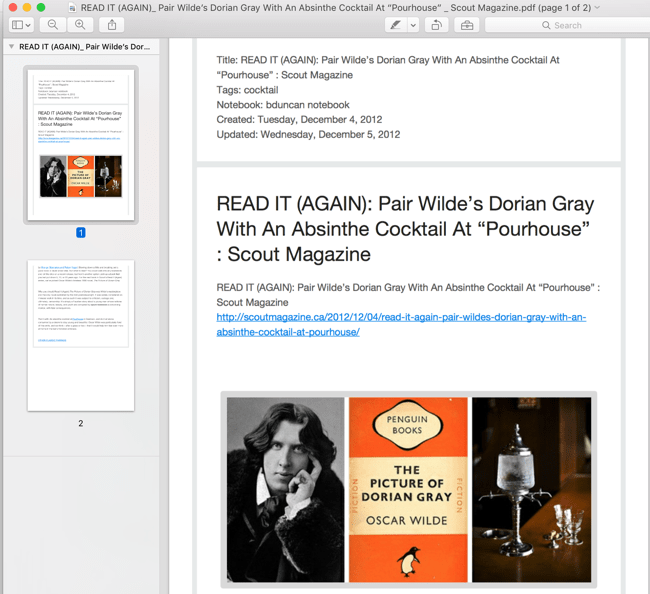 Does Evernote ‘plus’ search withing already OCR’d pdfs and the added feature of premium does the OCR after upload to make it searchable? 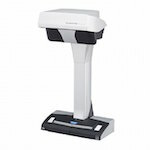 I already had Devonthink Office Pro and Devonthink to Go but found them a bit complex for my needs, while Evernote fits my workload, such as it is, perfectly. A particular plus is the web clipper extension, which makes it very easy to pick up and store away whole web pages, storing them in a form that allows them to be searched within Evernote. My first reaction on reading of the changes was that I would have to abandon Evernote as I have four devices: iMac, MacBook Pro, iPhone and iPad, and Evernote Basic limits you to two devices. However, when I read the small print, I realised that this applies only to the Evernote Mac OS and iOS apps, and that you can still use the web interface on Mac OS. Evernote will not allow you to use the web interface on iOS. I’ve now been forced to choose two devices to keep (they didn’t give me long) and I chose the two iOS devices. If I try to open the Evernote app on my iMac, I’m prompted to set up a new account. If I go to evernote.com, I can log in as normal. I’ve now removed the Evernote helper as a start-up item (Apple menu/System Preferences/Users and Groups and choose the Login Items tab). I haven’t uninstalled Evernote in case it removes the clipper extensions from my browsers. So far, so good – I’ve tested the web clipper in Safari and it works as normal, adding the web page to my Evernote account so I can see it on my iPhone and iPad. This solution may not last for ever as I can foresee changes in Mac OS or the browsers which would require an update of the web clipper extension, but as far as I can figure, I should be able to upgrade the Evernote app and install updated clipper extensions, though I would have to do it manually. Just in case, I have imported all my Evernote notes into Devonthink Pro Office, and as far as I can see, this works perfectly. All the notes I have looked at are there, and look as they did in Evernote, and Devonthink has translated Evernote folders into separate databases. Of course Devonthink comes at a cost, but I had bought it already and Evernote’s changes may push me towards using Devonthink as my standard notes organiser. What I haven’t said is that I am not at all in favour of the software subscription model, particularly for software I use a lot. I appreciate that paid upgrades can cost quite a lot (Parallels, anyone?) but most paid software isn’t like that, and allows you to choose whether to accept the new features and pay for them, or to carry on with the application as it is. In many cases, new features are incremental improvements around the edges and sometimes they aren’t improvements at all (iMovie/Pages/Numbers, anyone?). How to future proof our own personal data. PDF’s are a common standard now, so ExportNote gets points for that. Does this program scrape and include the OCR’d layer of text? If not, then that adds another task needed using a good OCR program to que up our huge libraries of PDF’s and then days to days to process these. Important FYI. OneNote will NOT permit me to copy text and then paste as text into Evernote. Text becomes an image. I’m using an iPad Pro. it is definitely due to Onenote’s method of saving to the clipboard. Of course images are useless as the text is no longer selectable. That’s an excellent question. Yes, the PDFs ExportNote produces (on Mac anyways, haven’t checked Windows) are searchable. Excellent article Brooks. I am sorely disappointed Evernote has increased their pricing, for I have been using Evernote for years and my life is stored there. Perhaps a good business maneuver, but it would be nice if consideration were given to longtime users!